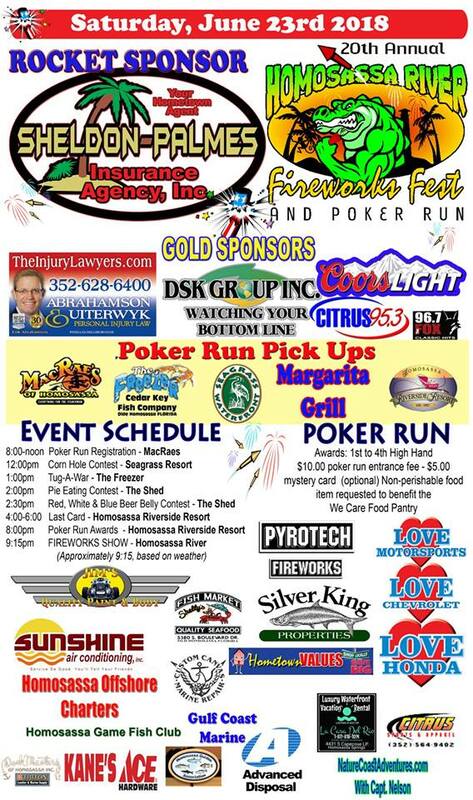 The 20th Annual Homosassa fireworks Festival and Poker Run Poker run begins at 8am at Macrae’s of Homosassa, with stops, live music and events at Riverside Resort, The Shed, Seagrass and The freezer. Fireworks will go up just after 9. The City of Williston will be hosting its annual Independence Day Celebration, a parade beginning at 5 pm. The Independence Day Celebration will follow at the Horseman’s Park, 803 SW 19th Avenue-beginning at 7 pm. **FIREWORKS begin at dark! Join us waterfront for some great music, food, games, beer and wine and fireworks. 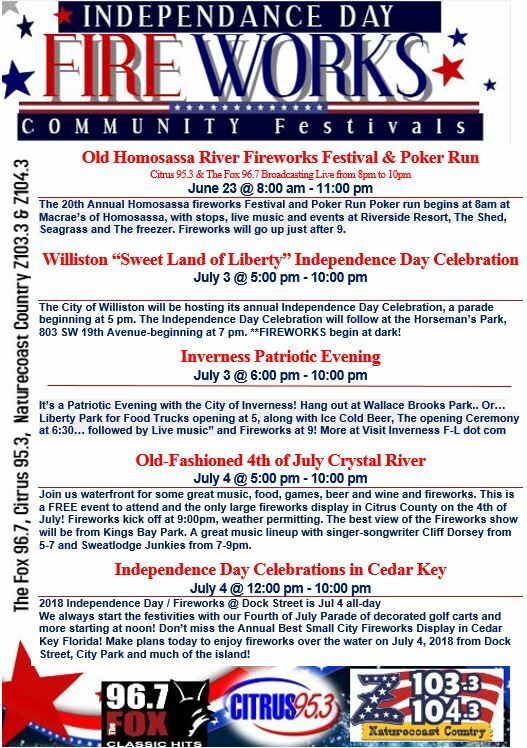 This is a FREE event to attend and the only large fireworks display in Citrus County on the 4th of July! Fireworks kick off at 9:00pm, weather permitting. The best view of the Fireworks show will be from Kings Bay Park. 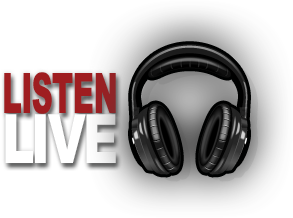 A great music lineup with singer-songwriter Cliff Dorsey from 5-7 and Sweatlodge Junkies from 7-9pm. We always start the festivities with our Fourth of July Parade of decorated golf carts and more starting at noon! Don’t miss the Annual Best Small City Fireworks Display in Cedar Key Florida! Make plans today to enjoy fireworks over the water on July 4, 2018 from Dock Street, City Park and much of the island!